Baijob.com and MSN China have announced a strategic cooperation to jointly establish the job search and career recruitment channel of MSN's Chinese website. Baijob.com will be responsible for the contents and operation of the new channel. The cooperation mainly covers two sectors, including an in-depth cooperation in recruitment content and a comprehensive interoperability on the products. 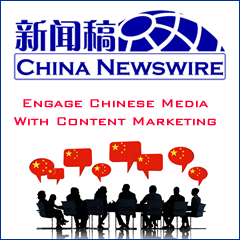 The new recruitment channel of MSN will focus on the Chinese white collar market and it mainly provides white collar recruitment information and related career information. In addition, the new channel will launch a series of third-party tools and services in the future for users. Moreover, users can directly login Baijob.com with MSN accounts. At present, Baijob.com is transforming from a traditional recruitment website to a job search engine. Official statistics show that the website currently provides ten million positions. Apart from the cooperation with MSN China, Baijob.com is promoting cooperations with many third-party human resources websites and organizations. Han Xiaoming, president of Baijob.com, told local Chinese media that the company will enhance its openness in the future to more cooperations with other companies.